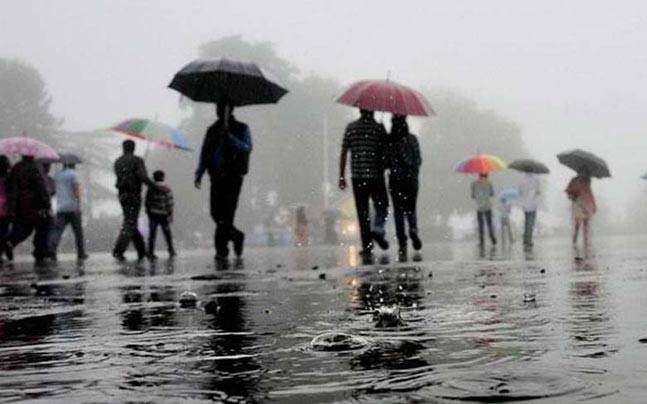 New Delhi: The national weather agency on Friday said a low pressure system was likely to form over the northern Bay of Bengal over the next 24 hours and predicted heavy rainfall across parts of Bengal, north Odisha, Sikkim, Assam and Meghala during the weekend. The India Meteorological Department also said squally weather with winds up to 60kmph was "very likely" along the coasts of Bengal and Odisha and advised fisherfolk not to venture into the north Bay of Bengal on Saturday and Sunday. It said conditions were "favourable" for further advance of the monsoon into more parts of the central Arabian Sea and the northern Bay of Bengal over the next 24 to 48 hours and predicted "extremely heavy rainfall" over parts of coastal Karnataka, Goa and Maharashtra. The monsoon has so far advanced into the southern peninsular India, the central Arabian Sea, and most parts of north Bay of Bengal. The northern limit of the monsoon on June 8 passed through Ratnagiri, Solapur and Nanded in Maharashtra, Adilabad in Telangana, Kalingapatnam in Andhra Pradesh, Agartala in Tripura. The national weather agency on Friday said a low pressure system was likely to form over the northern Bay of Bengal over the next 24 hours and predicted heavy rainfall across parts of Bengal, north Odisha, Sikkim, Assam and Meghala during the weekend.